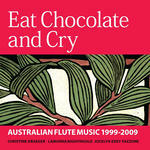 Eat chocolate and cry : Australian flute music 1999-2009 / [performed by] Christine Draeger, Lamorna Nightingale, Jocelyn Edey Fazzone. Confession 2 : flute or piccolo & electronics / Damian Barbeler. * Sales note: Purchases of this item will be completed through the ReedMusic website. GST of 10% will be added during the checkout process for Australian residents. Confession 2 : for descant recorder, violin and electronics / Damian Barbeler. Confession 2 : descant recorder and electronics / Damian Barbeler. 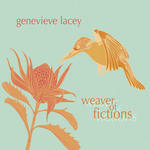 Weaver of fictions / Genevieve Lacey. This Confession is a portrait depicting the emotion of a character in confession. We know little about this character. We can only guess from the musical lines and the emotion therein what has transpired in the past. There are two levels of consciousness here: superficial sentiments of the character are expressed by the live instrument - we hear surface emotions of regret, guilt, contrition etc. These emotions are betrayed in the electronics however by darker, contradictory instincts. Instrumentation: Flute or piccolo, electronic backing track. There are 2 versions: 5 minutes, and 7 minutes in duration. 11 May 2018: at Fluteprojekt (St Stephen's Uniting Church (Sydney)). 5 Mar 2010: at Genevieve Lacey (Elder Hall). Featuring Genevieve Lacey. 24 Nov 2009: at Genevieve Lacey (Phipps Hall (Huddersfield)). Featuring Genevieve Lacey. 29 Sep 2009: at Eat Chocolate and Cry (Australian Music Centre). 12 Jul 2009: at Radiophonic sentiments (Art Gallery of New South Wales). Featuring Lamorna Nightingale.